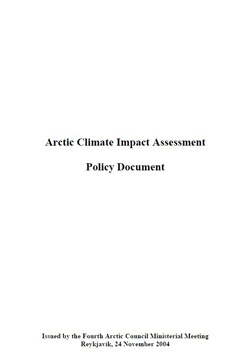 The 2004 Arctic Climate Impact Assessment (ACIA) was prepared in response to a request from the Ministers of the Arctic Council, and is a follow-up to a preliminary evaluation of Arctic climate change issues included in the 1997/98 AMAP assessment. 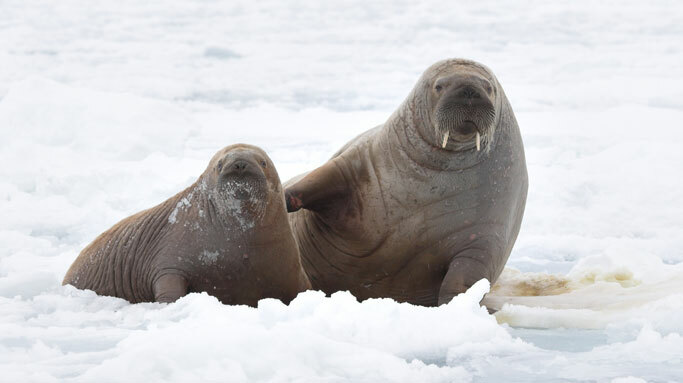 The assessment was produced by the Arctic Monitoring and Assessment Programme (AMAP) in collaboration with the Arctic Council's Conservation of Arctic Flora and Fauna (CAFF) working group, and the International Arctic Science Committee (IASC), and was coordinated by AMAP. 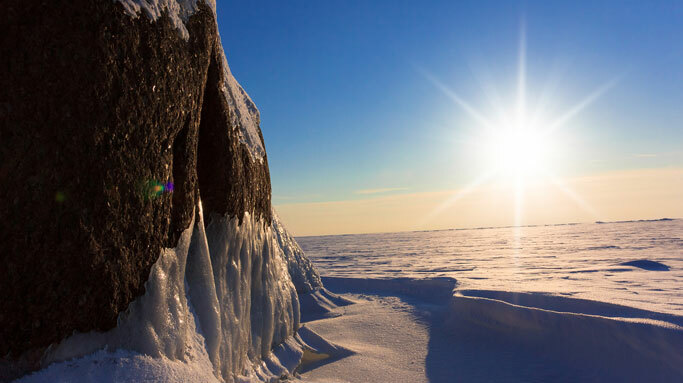 More than 250 scientists and six circumpolar indigenous peoples’ organisations participated in the ACIA. 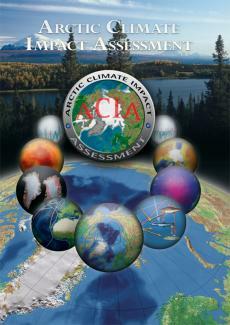 ACIA was the first comprehensive multi-disciplinary assessment of the impacts of climate change in the Arctic. As such it represents a baseline for later work (including work under the 2011 Arctic cryospheric change - SWIPA - project coordinated by AMAP). ACIA was also a milestone in that it was the first Arctic Council assessment to comprehensively include social science as well as natural science components - to assess the imacts of climate change on socio-economic conditions in the Arctic. Results of the ACIA were fed into the IPCC fourth assessment process and were instrumental in raising the profile of Arctic Climate Change issues in the UNFCCC and subsequent IPCC work. 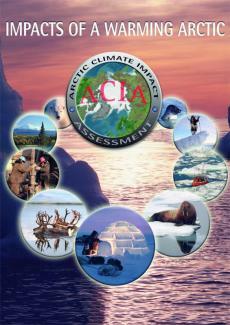 Policy conclusions resulting form the ACIA assessment were developed by Senior Arctic Officials (SAOs). The ACIA assessment is presented in three reports. 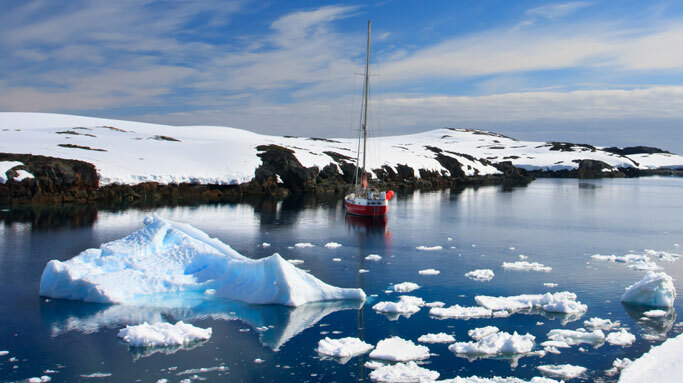 The ACIA overview report (Impacts of a Warming Arctic) summarises the results of the assessment in an easily readable format and is available in a number of languages. An ACIA Highlights report presenting the ACIA Key Findings is also available. The ACIA scientific assessment report provides the fully-referenced and detailed technical background information. The policy recommendations developed by SAOs on the basis of the ACIA assessment are available in a separate ACIA Policy Document. 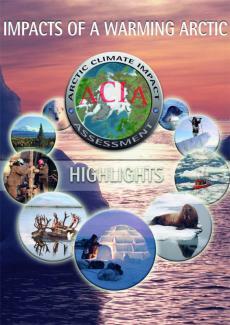 Arctic Climate Impact Assessment (ACIA 2004) from AMAP on Vimeo. The ACIA graphics are being made available for non-commercial uses, including production of educational and outreach materials by scientists and policy units, etc. Files (jpeg) may be downloaded from the ACIA website or requested by e-mail (see below). Under these arrangements it is generally expected that use will be limited to up to 10 of the available graphics. The ACIA graphics may not be further distributed. Users are requested to acknowledge the Arctic Climate Impact Assessment (ACIA) as the source of the graphics and include a full citation to the ACIA report from which they are taken (as included in the Graphics Catalog PDF file). Anyone wishing to use ACIA graphics for commercial purposes should contact grabhorn@earthlink.net.